I was served a boiled egg every day when I was in the fourth grade. It was my tea snack without the tea. My parents insisted on it and I hated it with every fibre of my being. I don’t think I even knew the different forms an egg could take. I didn’t know the process through which a boiled egg appeared on my plate, it just did. My aunty would bring it to the hall and remove the shell in front of me but there was always some left. She would then cut it into quarters, like with a lemon. I would pour ketchup onto the side of the plate in an effort to mask the taste of the egg. I begged and cried, promising that I would finish three pieces of the four. She never budged, which meant that I would end up eating the whites of all the pieces. I didn’t have too much of a problem with the whites. Covered in ketchup, it even tasted nice. It was the yolk that I dreaded. The first piece would be bit into with the hope that egg had changed taste. The half would be abandoned and I would move onto the second piece, hoping the same. Again, I would eat half, abandon half. The third piece would be swallowed, washed down with lots of ketchup. The remaining two halves were finely crushed and kneaded into the ketchup so that it no longer existed. The fourth piece was my bargaining chip; I would tell my aunty “Look I ate all the other pieces. It’s only this one left, you eat it, please”. Right as she was about to change her mind, mother dearest would wake up from her nap and come to the kitchen and I lost all hope. I did not have the energy to convince her too. She made me swallow it, would not leave until I did and she even denied me anymore ketchup. That was when I knew that my mother did not love me. Angela’s mother loved her. Angela was the neighbour girl I babysat. Angela, that spoiled fourth grader, had a mother who made her egg the way she liked it. I didn’t realise it was egg when the smells came from the kitchen. I thought it was chicken nuggets because how could eggs ever smell edible? These smells were only associated with nuggets or burgers in my house, not with an egg. I patiently waited, sitting with Angela and playing to pass time until the nuggets came. But it did not and in its place came a round, yellow mess with jagged ends. It was glistening, like it had been dipped in glitter and the ends looked crispy. It was the pot of treasure at the end of the rainbow. There were little onions stubs floating about and specks of pepper. The other side was yellow too, which impresses me because now I know that it’s hard not to burn an egg. Angela didn’t need no ketchup, she tore into it like with a chapatti and popped it into her mouth. I watched, still apprehensive of my nemesis, but my eyes followed ever movement of hers until she finished eating. She showed no disgust or reluctance, leaving me to conclude that an egg made with love was tasty. Egg has taken on a different role now. 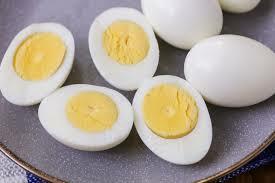 The whites are for those who have oily hair and the whole egg is for those who have dry, frizzy hair. I tried this at home after reading multiple articles on how to smoothen your hair. Three spoons of coconut oil, one spoon of honey and one egg – this was how you fix hair. Due to habit, I whip the eggs with a fork like I would for an omlette until all the ingredients were completely meshed together. The role of oiling hair always went to Mama and so, egging hair did too. She would take the mixture and massage my hair with it, something that I detest doing even for my own hair. She would yank and pull, believing that the more vigorously she did it, the more effective it would be. I would wear the egg on my head for an hour, covering it with the green surgeon’s cap that acted as shower caps in my nurse – mother’s house and sit on the floor without moving my neck so that no icky bits went down my shirt. After I was done with my bath, the tub always stank. Mama said she would bathe after me so that I didn’t have to wash the toilet. My hair had bits of white in it even after the shower which Mama would pick out. My hair isn’t fixed yet and Mama is ready to work with me until it is.